Cool Things to Draw - Take Your Pick! Cool Things to Draw: Take Your Pick! Enjoy a selection of various cool things to draw, from a ghost, bats, snakes and much more! This page has a mix of both beginner and intermediate drawing tutorials. An easy drawing tutorial suitable for beginners. This is a popular addition in our list of cool things to draw. 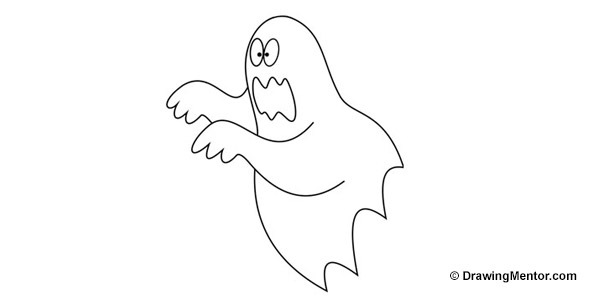 This is a six-step tutorial for those looking to do a cool ghost that is reminiscent of old classic cartoons such as Scooby-Doo. A great drawing to celebrate halloween. This is a seven step drawing tutorial of an iconic looking goldfish, which has become the most popular pet fish species for first time pet fish owners. Don’t get scared now! Creep out your friends by learning how to draw a bat. They skittle and scatter collecting all that matters! Learn how to draw a realistic ant with this drawing tutorial. 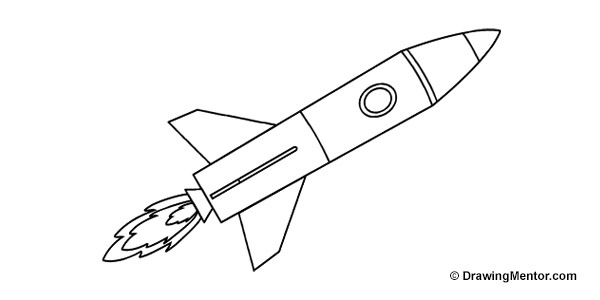 Blast into outer space and discover how to draw a rocket with this easy drawing tutorial for beginners. 3, 2, 1 … GO! Ho, Ho, Ho! Looking to create your own Christmas card, decoration or just want to draw Santa for fun? Check out our cool tutorial on how to draw Santa.